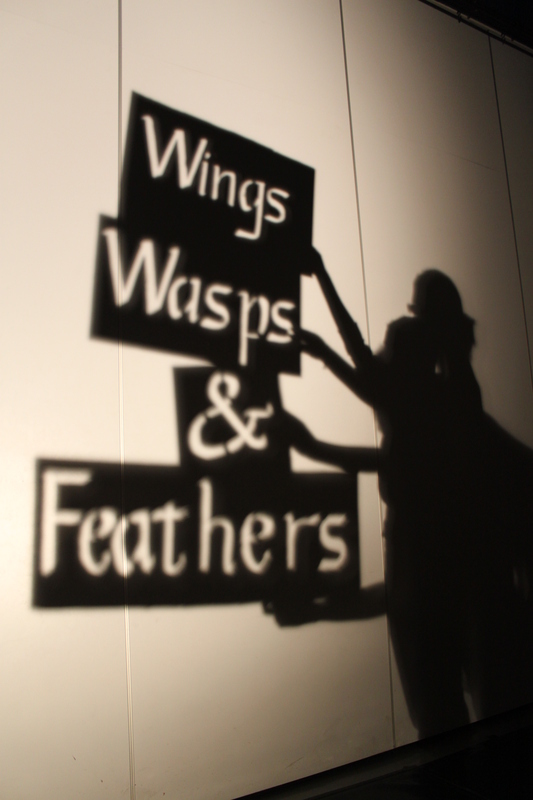 A short piece of children’s shadow puppet theatre, Wings, Wasps and Feathers told the story of an organised, fastidious sparrow and a messy, free-spirited rook who argued all the time – that is until their tree was invaded by wasps, when they have to put aside their differences and team up with all the tree’s creatures to defeat the wasps. It was first performed at Politmore Hous e, a large dilapidated manor house on the outskirts of Exeter undergoing extensive renovation to bring it back to its former glory, on one of its ‘Big Lunch’ family days. Some of our company had forged links with it during a module in university, while others had made great use of shadow puppetry during the same module. Bringing the two together started our first, admittedly small, step as a company.